DEAL OR NO DEAL: Prime Time Gossip! Though no news has been officially confirmed yet, many rumors have been surfacing regarding NBC’s prime time game show DEAL OR NO DEAL. I’ve been gathering information from various sources connected to the show. According to one source, it’s definite that only day time DEAL’ will start back shooting fairly soon, with a smaller number of ticket holder audiences, but a no-go for prime time DEAL’. This is not new to many of the shows’ fans, but the reasons behind it are something long-time viewers of the show may want to know. 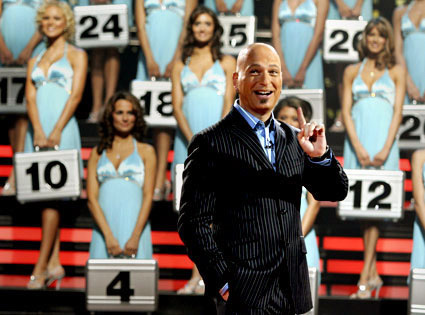 Howie Mandel returning to DEAL OR NO DEAL? Another source close to the show has stated that the reasons for prime time DEAL’ being placed on hold was because the show was too expensive to continue to produce. According to this source, the network green lit DEAL’ host, Howie Mandel’s hidden-camera show, “Howie Do It” with the expectations that his show would pull-in the ratings numbers that DEAL once did. That has yet to happen. This source also stated that the hold on filming of prime time DEAL OR NO DEAL may also be due to Mandel no longer wanting to host the game show. This has not yet been confirmed. In the meantime, any new episodes that NBC chooses to air of the night time version, will be the ones that were filmed before the show stopped production back in September. I have to say, in retrospect, I thought something was fishy then when DEAL’ shot its famous annual Christmas episode particularly earlier than usual last year. Whatever the true reasons are for the prime time DEAL’ hold-up, us model fans are still pulling for their return to the DEAL OR NO DEAL stage.